Apple is developing its own in-house docking solution for charging the Apple Watch, reports French site iGeneration [Google Translate]. 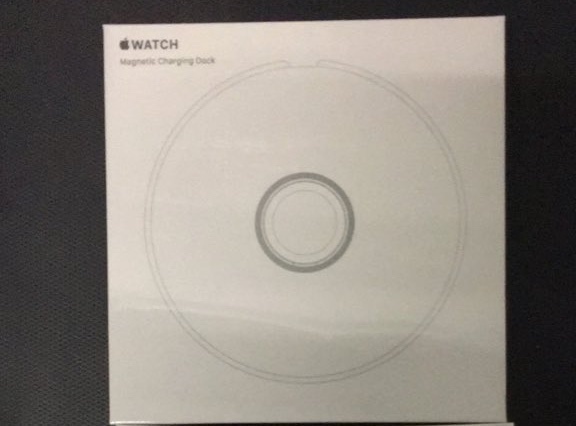 Citing sources with knowledge of Apple's plans, iGeneration says the dock will be called simply the "Magnetic Charging Dock," a name also seen in alleged packaging photos below. Circular in shape, the dock appears to support the Apple Watch in two orientations, both laid flat over the top in portrait mode and on its side in landscape mode, useful for Nightstand mode. The charging puck within the dock seems to adjust from flat to upright to accommodate both orientations. 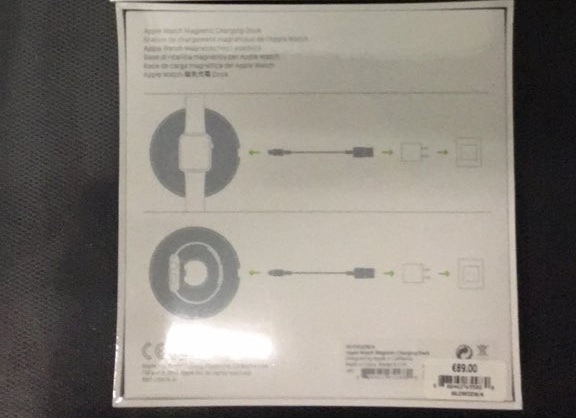 The Magnetic Charging Dock is said to come with a Lightning cable that will be used to charge the Apple Watch through the dock, but it does not include a USB power adapter. The packaging for the dock lists a price of €89, which likely means it will be priced at $79 in the United States. At $79, the Magnetic Charging Dock is significantly more expensive than Apple's dock for the iPhone, but it appears to have a more complicated design with the ability to support both portrait and landscape charging. It is not known when the dock might go on sale, but the completed packaging signals an imminent release date. 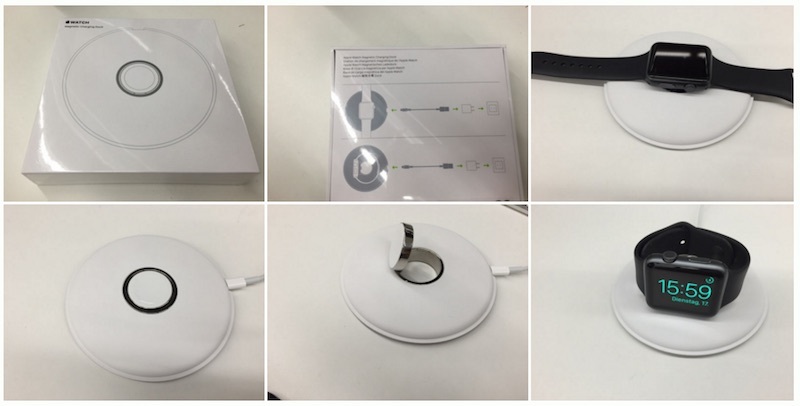 Update: German site Grobgebloggt.de (via Apfelpage.de) has shared photos of the Magnetic Apple Watch dock. It ships with a 2M Lightning cable. Next up: the official Apple pencil cup. $79? Ok, found my limit on what I would buy from Apple. A dock that is cost more than a 3rd gen Apple TV? No thank you, I have a very nice $11 dock that gives me night stand mode. And since I have absolutely no problem with my dock I seen no reason to go spend $79 on an Apple one. Really $79?! It'd be great if it docked both the Watch and the iPhone. Nifty. Now hurry up and make more Pencils! My eyes definitely expected to see things like "+RW", "120 min", and "4x"
Meh. I'll just lay mine on the little charging puck. Interesting. I'm surprised it's taken so long for this to come out.